June 2018 saw Charlottetown, PEI host the ARUCC/CACUSS Sea Change conference: the largest higher education conference in Canada. 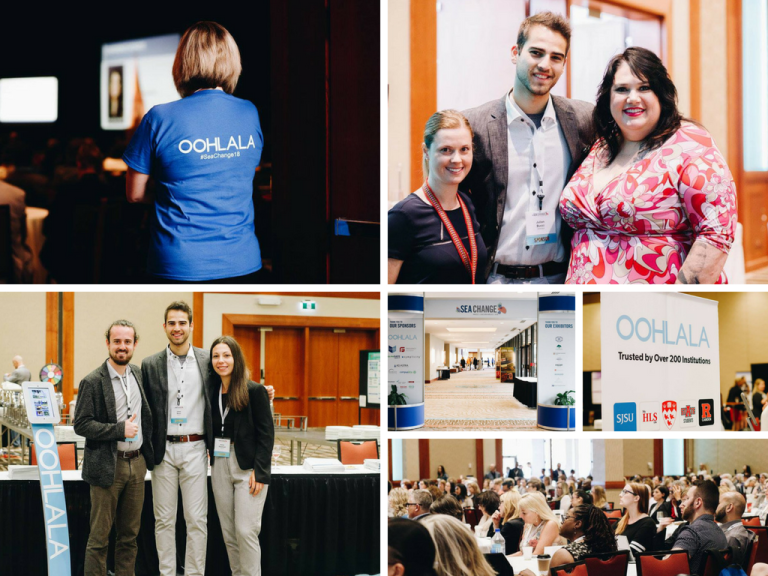 With 800+ attendees from across the country, there was no shortage of ideas, insights, and learning opportunities. With much emphasis put on the importance of Mi’kmaq culture and heritage, Sea Change did an amazing job of exposing its attendees to a side of Canadian history that is often (unfortunately) overlooked and neglected. We saw the importance of Canadian first-nations’ culture on Monday morning with keynote speaker, Candy Palmater. As the first aboriginal person to become valedictorian of a law school in Canada, Candy broke barriers and overcame obstacles, paving the way for future aboriginal students. The idea that “you are enough” was an important message that Candy instilled in the audience, and one that resonated with attendees throughout the duration of the conference. Once the keynote had ended, attendees were invited to attend learning sessions. Some of the more popular themes included: mental health on campus, sexual violence prevention, accessibility, non-traditional student success, as well as diversity and inclusion, among many others. In between these sessions, the CACUSS, ARUCC, and PEI Convention Centre staff made sure that everyone was well fed, with food options for all tastes and diets. As Platinum Sponsors, we were positioned in the middle of the fun within the exhibit hall. For our team, some of the most meaningful parts of the conference were our conversations with the other attendees. Listening to stories, hearing about the struggles and successes that Canadian institutions are facing, and getting that one on one time with people in the space was an invaluable experience. After-hours, a number of excursions were offered, including a Culinary Walking Tour, as well as a Private Beach Walk and Dinner. But perhaps the most attended extra-curricular activity was the Kara-O-CACUSS, a night of private karaoke at The Alley. While we knew we were in the presence of some of the brightest minds in student affairs, we had no clue we were also among some of the best voices in higher ed. Off-site we enjoyed some of the best food and hospitality Charlottetown had to offer (as we expect most people did as well). While we were sad to leave the island, we were grateful for all of the things we learned, connections we made, and are excited to incorporate all of these incredible experiences into our ultimate goal of encouraging student success. Until next time!